Manchester marketing and PR consultancy, Pelican Communications, is on course for an awards hat-trick after three of its trade association clients were shortlisted for prestigious European awards. The firm, founded by former journalist Michael Bennett, has three campaigns in the ru nning for the European Association Awards. The awards recognise the achievements of trade associations across Europe in the field of marketing and member services. Two of the consultancy’s campaigns for British Frozen Food Federation and one for APEAL – the Association of European Producers of steel for packaging – have been shortlisted in the Best Newsletter, Best Magazine or Publication and the Best Provision of Industry Information categories. The consultancy also achieved awards success last year, winning two Public Relations & Communications Association DARE Awards in June for its work with the outdoor discovery app company, ViewRanger, and specialist food solicitors, Roythornes. 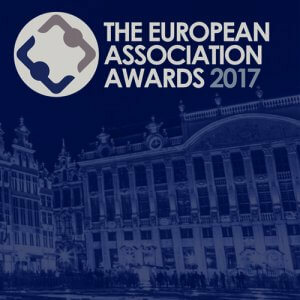 The European Association Awards ceremony will be held in Brussels on 24th February 2017. Pelican specialises in four sectors; food, packaging and environment; with an ethos of having experience and understanding in supporting businesses “from field, to fork, to fertiliser” as well as working in the outdoor sports and activities sector; a passion of many of its staff.